Story Time with the Hilarious David Shannon! "When David gets in trouble, he always says . . . 'NO! It's not my fault! I didn't mean to! It was an accident!'" Whatever the situation, David's got a good excuse. And no matter what he's done "wrong," it's never really his fault. Soon, though, David realizes that making excuses makes him feel bad, and saying he's sorry makes him feel better. 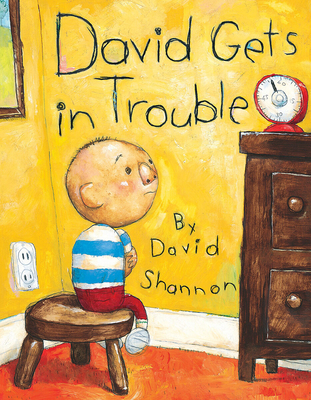 Once again, David Shannon entertains us with young David's mischievous antics and a lighthearted story that's sure to leave kids (and parents) laughing. David Shannon is the internationally acclaimed creator of more than thirty picture books, including No, David!, a Caldecott Honor Book and his second New York Times Best Illustrated Book of the Year, and three more David picture books. Shannon's bestsellers include A Bad Case of Stripes, Duck on a Bike, and his recent Bugs in My Hair. He lives in California with his family.